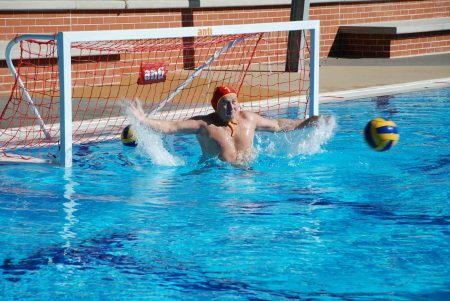 Anti Wave was founded in 1971 by former professional Waterpolo player and current 2017 FINA Masters 70+ Goalie Anti Kajlich (below). Anti Wave equipment was first selected for the 1972 Olympic Games in Munich, as well as the 1st World Aquatics Championships in Cali, Colombia in 1975. Since then Anti Wave has lead the world in product innovation and development and Anti Wave products have been featured in dozens of Olympic games included Sydney’s 2000 Games where we contributed in breaking 15 World Records. We have also been featured in over 50 internationally recognized events. Today, Anti and his son Anton continue to design, innovate and produce the world’s best Aquatic Sports products. There is Licensed production in 8 countries around the world and Anti Wave products are exported to over 150 countries. Anti Wave continues work hard to reach new countries and provide the best quality and value aquatic sports equipment around the world. Here at Antiwave Americas we mold and assemble lanes in our Constantine, MI plant and import Waterpolo products from our regional partners. We look forward to serving you.